There are quite a few reasons to invest in a foreign region or country. Whether to hedge risk, to take advantage of a financial opportunity, or to diversify a portfolio. And if the country you target happens to be South Korea, then South Korea ETFs might be right for you. There are other ways to gain exposure to the South Korean financial climate in your investing strategy. There are stocks, indexes, mutual funds, etc. However, if you are looking for instant exposure and minimal transactions, an ETF may be your best option. ETFs have many advantages over other investments, such as tax benefits and lower commissions and fees. So if this is your first entry into the South Korean market, then this may be a good way to test the waters, so to speak. This South Korea ETF tracks the MSCI Korea 25/50 Index, which targets companies publically traded on the exchanges in South Korea. It uses a capping strategy that limits the weight of any single stock in the index to a maximum of 25% of the benchmark. Also, the sum of the holdings that individually constitute more than 5% of the weight of the index can’t exceed a maximum of 50% of the weight of the index. Some of the top holdings in the fund include Samsung, Hyundai, and Kia Motors and some of the top sectors represented are information technology, consumer discretionary, financials, and industrials. This South Korean fund correlates with the Defined South Korea Index that uses an AlphaDEX stock selection methodology to select stocks from the S&P South Korea BMI universe that meet certain criteria. Some of these holdings include CJ Corporation, KCC Corporation, and KT Corporaton. And some of the top sectors represented are consumer discretionary and staples, energy, financials, and industrials. 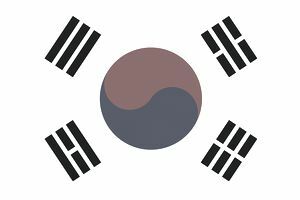 Like EWY, the iShares South Korea ETF, this fund tracks the MSCI Korea 25/50 Index. However, KORU seeks a 3x leveraged return of the daily performance of the benchmark. The fund uses a combination of derivatives in its holdings in order to achieve its investing goals. The iShares Currency Hedged MSCI South Korea ETF seeks to track the investment results of an index composed of large- and mid-capitalization South Korean equities while mitigating exposure to fluctuations between the value of the South Korean won and the U.S. dollar. The SPDR MSCI South Korea StrategicFactorsSM ETF seeks to provide investment results that, before fees and expenses, correspond generally to the total return performance of the MSCI Korea Factor Mix A-Series Capped Index. While I talk about the many advantages of ETFs, please be aware ETFs have their fair share of disadvantages as well. No investment is perfect or without risk, whether it’s ETFs or any other asset. Also, make sure you understand the fund before you make any trades. One of the South Korea ETFs is leveraged (KORU), and that type of asset is usually for more for advanced trading strategies. So thoroughly research the ETFs above, watch how they react to different market conditions and understand what is actually in the ETFs as well. And if you have any questions about any of these funds, be sure to consult a broker, advisor, or a financial professional. But once you are ready, good luck with your South Korea ETF.